Checked your wardrobe recently? On average, 30% of what’s in our wardrobes hasn’t been worn for over a year - some items don’t fit anymore, some are fashion ‘blasts from the past’ and some we think we will wear but never do! 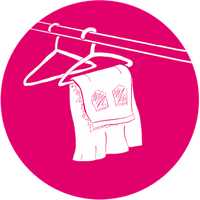 Over the next two months, sort through your clobber and send what you no longer want to charity for reuse or to the nearest waste recycling centre textile bank for recycling. Whatever you do – don’t bin any clothes! When you have decluttered, not only will a breath of fresh air swish through your wardrobe, finding your #OOTD will be a breeze! You will also feel good knowing that your clothes haven’t ended up in landfill and have instead gone on to be loved by someone else. Your preloved could also become someone else’s new love. Shopping for preowned clothing is extremely popular. There are currently 11,200 charity shops in the UK2. Have you noticed how busy your local charity shops are? 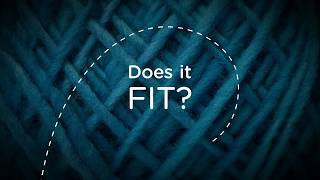 Reusing clothes and recycling textiles saves resources and raw materials and reduces the environmental impact of clothing. Charities make money from the clothes you donate, simple. Charity shops make on average at least £4 for one pair of trousers.3 Every year charity shops raise over £270m for a range of causes in the UK.4 Support your favourite charity by donating your preloved clothes for someone else to love. million earned by charity shops each year in UK. Most of us are looking to switch our summer wardrobe into an autumn one, so it is a great time of year to declutter! Don’t know where or how to get started? Love Your Clothes are here to help! Still wear it: Put these items back onto hangers or fold neatly and put away. Put the hanger in reverse and when you wear the item put the hanger back the right way – this is an easy way to see what you are and aren't wearing this season and will make it much easier next time you declutter! Doesn’t fit: Be honest - if it did fit - would you actually wear it? • Yes: Can the items be altered to bring them back into use? • No: Donate to charity for reuse: Either place the items in a charity collection bag that is delivered to your door, or take them to your nearest charity shop or nearest charity textile bank. Never going to wear it again: Donate these items to charity and let someone else enjoy them. Past its best: Old pants, bobbly jumpers and threadbare socks can all be recycled. Use the recycling locator to find the nearest Waste Recycling Centre textile bank. Can’t bear to part with it: Cherished items should be cleaned, wrapped carefully in acid free tissue paper and stored in a box in a clean/dry place. See the Love Your Clothes video guides for more inspiration and tips. One of those things I always think about...so with the change of season it is good to have a concrete reminder to make the pledge and Do the action. I love clothes swaps and I'll be hunting local ones out! I can't wait to feel better as a result of clearing out all those dresses that don't fit me anymore! Just given 30 shirts, 2 fleeces and a raincoat to our local charity shop. What they cannot sell they still get money for as it is recycled. Should have done it a long time ago. Now to tackle the rest. Hooray for more wardrobe space!